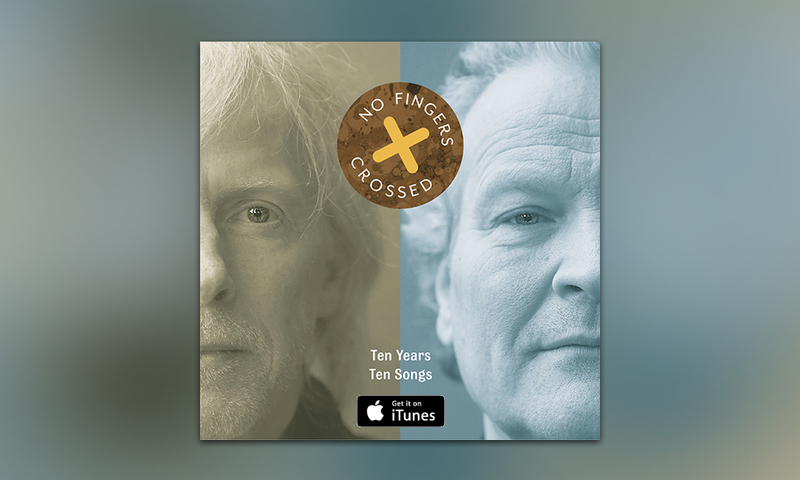 Duo No Fingers Crossed comprises two of Sweden's foremost musicians, bassist Lasse Risberg and guitarist Micke Nilsson. Together they have toured the world for many years, mainly with leading Swedish pianist Robert Wells, and his 'Rhapsody In Rock' concert series. They have also worked with Jill Jonsson, Carola, Björn Skifs, Charlotte Perrelli and Lena Philipsson, as well as international celebrities including Lionel Richie, Jon Lord, Paul Carrack and Gino Vannelli. Their first studio album Ten Years Ten Songs is a collection of songs that Lasse and Micke have written together over the past decade on the road. The album has taken some time to record, partly due to spending so much time on tour, but also as Micke suffered a stroke in 2011. Thankfully he is now fully recovered. After a gig in Mallorca ten years ago, the pair sat down together and co-wrote their first song, Say Goodbye. Since then they have continued to write together, whilst touring around the world, or in Micke's small studio cottage on Rindö, in the Stockholm archipelago. Now they have finally finished recording their debut album, thanks to top Swedish producer Jocke Niehoff. Lars Wikström adds some glowing guitar solos, and the master drummer Roine Johansson features on most tracks. All other instruments are played by the duo themselves, with Lasse on bass and cello, and Micke on guitars and keyboard. 2019 © No Fingers Crossed.